During the fall of every school year all students receive a vision and hearing screening. Parents will be notified via flocknote during any emergency. St. Anthony School provides car visor signs for anyone authorized to pick-up a student. A new car sign or additional signs can be requested at anytime. St. Anthony School maintains a very close relationship with those who protect our community. 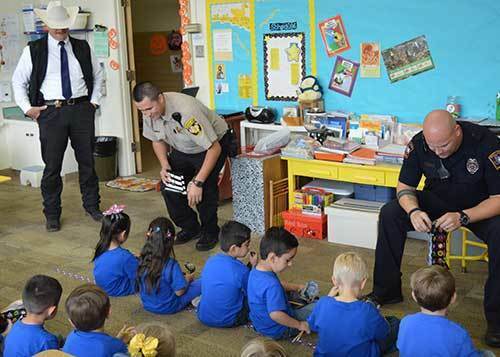 Inspections of the School are done on a regular basis, and local Police and Fire authorities come to the school to help in the safety education of our students.